The performance of a business can be determined by analyzing the balance sheet and the other financial statements. To calculate financial performance, one needs to do financial statement analysis. Various techniques are available for this analysis, for example the DuPont model, Economic value added and NOPAT. 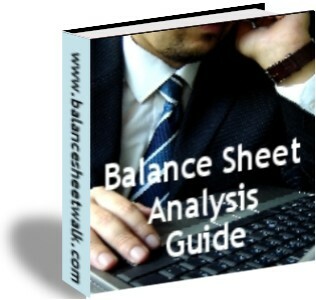 This website balancesheetwalk.com is particularly interested in the Financial Statement Links i.e. the way the financial statements are linked to each other. Understanding this helps with the financial analysis of an organization. More information on all these techniques are available on this page: Financial performance. Look at each of the menu items on the left side of the page.